This month, we congratulate Nigel Wakeman, a former candidate of ours, on his recent promotion at WRc plc. In January 2016, we placed Nigel in a Project Coordinator role at WRc plc and he has recently been promoted to Head of Project Management Office - in less than a year. 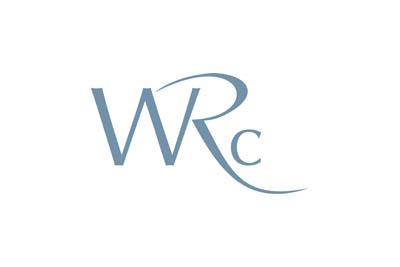 WRc is an independent Centre of Excellence for innovation and growth operating across water, environment, gas and resource management sectors, looking after clients, who include regulators, water and gas utility companies, governmental organisations, NGOs, trade organisations, industrial manufacturers and waste management companies from their base in Blagrove near Swindon. We spent some time with their team at Blagrove to understand the project coordinator role and to absorb some of their culture and working environment, both to help us find the right candidate and also to help us sell the company to potential new employees. We interviewed a number of people for the vacancy but it was Nigel who impressed us the most and seemed a really good fit for our client. "I'd been working for Computacenter in similar project roles for a few years," said Nigel Wakeman, "but I was ready for a new challenge and a clearer career path. Jackie's team, headed up by Fraser, did a great job in presenting the longer term opportunities at WRc plc and I'm delighted that I found such a great company to work for." We are really pleased that this placement has worked so well for both parties and Nigel's promotion is a typical example of our approach to recruitment. When we work with our clients, we are not simply looking to "fill a job vacancy" but to introduce you to talented individuals who will not only help you solve your immediate and short-term problems but also those people who have the potential to help you build your business in alignment with your medium and longer term objectives.